Former national soccer team defender Portugal and also the English club Liverpool, Abel Xavier has announced convert to a Muslim. 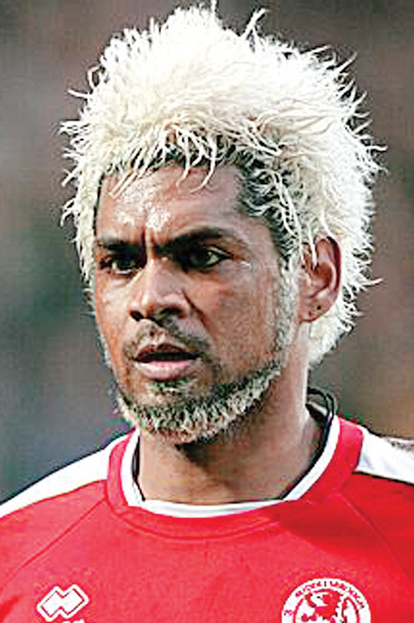 Abel Xavier held a press conference in Ras Al Khaimah in United Arab Emirates stadium before a league match in which he announced his Islam and his new name - Faisal. Abel held a press conference in front of the Dubai royal family members and officially announced his retirement from professional football career. He is now ready to take part in humanitarian projects that will benefit the lives of millions of people in Africa. "It's an emotional farewell and I hope to participate in something very satisfying in a new stage in my life," said Xavier. "In moments of sorrow, I have found comfort in Islam. Slowly, I learned that recognizes religion of peace, equality, freedom and hope. This is the basis of which I recognize. Only after in-depth knowledge and intense experience, I took this decision. I would like to thank the royal family for love and affection. They hugged me and made ​​me feel special. " The former Benfica and Liverpool defender is taking part with the Portugal national team in the world championship of children under the age of 17 years. He did not participate to defend Portugal at the European championships in 1996, but it is a key figure in his team at the European championships in 2000. He is remembered not just because his game is good, but also because of his prominence with vysvetlennye hair and beard contrasted sharply with his dark skin color.